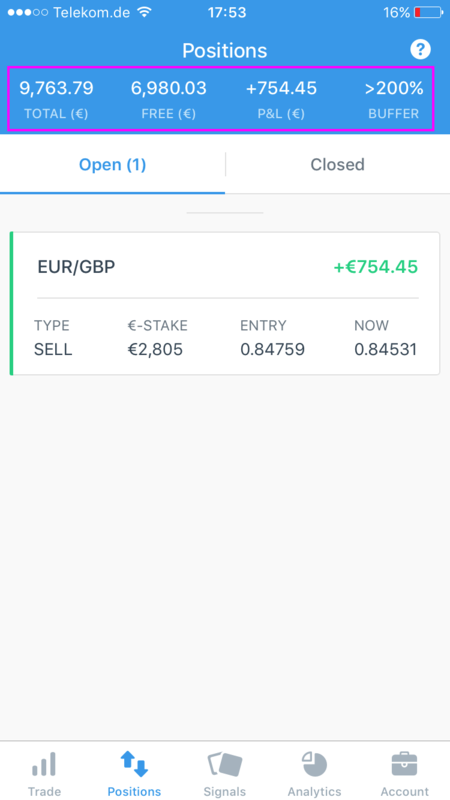 This is your total account balance including the profit and loss of open positions. This is also referred to as net equity. This is how much capital you have available to invest in new trades. This shows how well capitalized your account is. Don&apos;t let this drop below 50% or we might have to close some or all of your positions. More information here.